Collaboration is made easy with LaunchCycle by creating tasks for each part of a project. As tasks are created and updated teams are updated instantly. Ideas, concepts and files can easily be shared and tasks get done. LaunchCycle allows you to attach assets of any type to each task so you can share between teams and clients offering a central location for quick and easy access to assets and updates. Tasks are ranked for each project and team member based on the priorities and due dates you set providing a clear hit list for everyone. Admins can view each team members task list and can quickly update as needed. 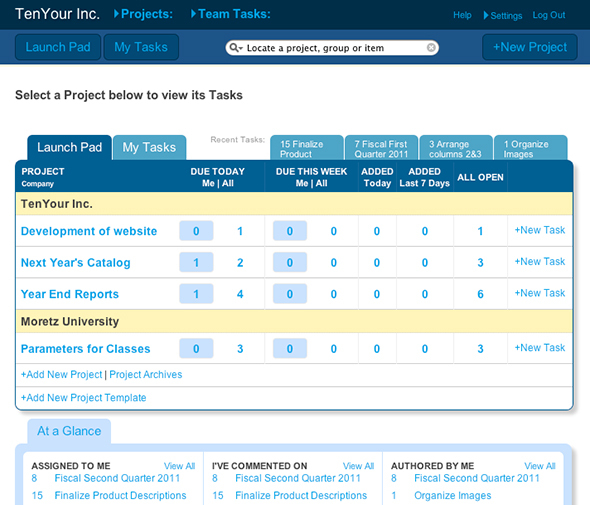 Admins can view each team member's hit list and shuffle or prioritize tasks based on your project needs. You can easily determine which teams have access to which projects. Every account includes a unlimited number of users, even with our FREE starter plan. Great features make happy teams. Track each task within a project. Tasks allow you to comment, share files and track it from start to finish whether you are a designer, an architect or a mom, it helps you get things done. Attach images, documents, videos, wireframes, sketches, and zips to a task to easily share with your team, track status and for easy reference at a later date. Add a due date to let the assignee know when a task is due. This will help you keep plates full without overwhelming teams. Organize your tasks into priorities from critical to minor. This allows you and your team to know what's hot and what's not. Team members can log an amount of time per task. This makes a Project Manager's job much easier when gathering hours and figuring time spent on a particular project. You can compare to estimated time as well as export this information to a spreadsheet. From each project view you can quickly select how to sort and filter tasks to get just the right view of your project. You can easily bookmark a filter set and quickly jump back at a later date to always get "your" view. Whether you are working with a team, client, an organization or just your spouse, My Tasks provides a quick view of what you need to get done across all your projects based on priority and dates that you setup. Add tags to tasks to quickly reference different types of tasks or to organize to fit your process. Label each task with a category to easily see what step in your process the task is in or what needs to be done. Customize your categories for every project as well as personalize and modify for a particular project that may need some additional steps. Often times there are several mini-tasks that encompass one big task. Groups are your way of organizing those mini-tasks. Want to keep a task private to within your team? You can do that with our privacy feature. Because sometimes it's better to have a little mystery. 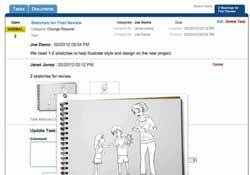 Need to refer to a task that's been resolved and completed? You can access that data easily using simple drop down functions to view archived tasks or visit the project archives. Filters allow you to easily include or exclude and focus on the tasks at hand. Don't feel like reading? Watch a video! The client calls you, your boss calls you, everyone is calling you asking for an update. They want to know, "Is it done, yet?" The problem is, you have no idea or you know you already sent them the email. 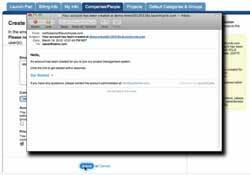 LaunchCycle helps to eliminate unnecessary frantic status calls and endless emails. It keeps everyone on the same page, saving you time and focusing on being creative. 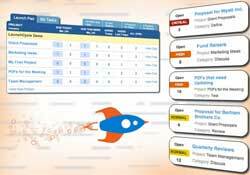 Get your FREE Start-Up LaunchCycle account today. Our FREE Start-Up account is fully functional and you can upgrade your account as your needs grow. LaunchCycle is the best web app for easily improving project management and team collaboration. We want you to take advantage of it just like we do!